This post is brought to you by Rubbermaid TakeAlongs® but opinions expressed are 100% my own. It’s hard to peruse social media these days without running into some post or article about meal prepping. It seems to have taken the world by storm. And with so much information on the topic, it can seem like way more work and effort than it’s worth. 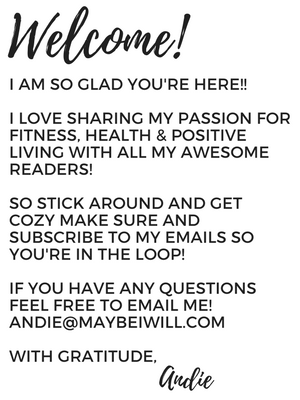 If you’re feeling overwhelmed with the idea of meal prepping and your not sure where to start, then this is the post for you! 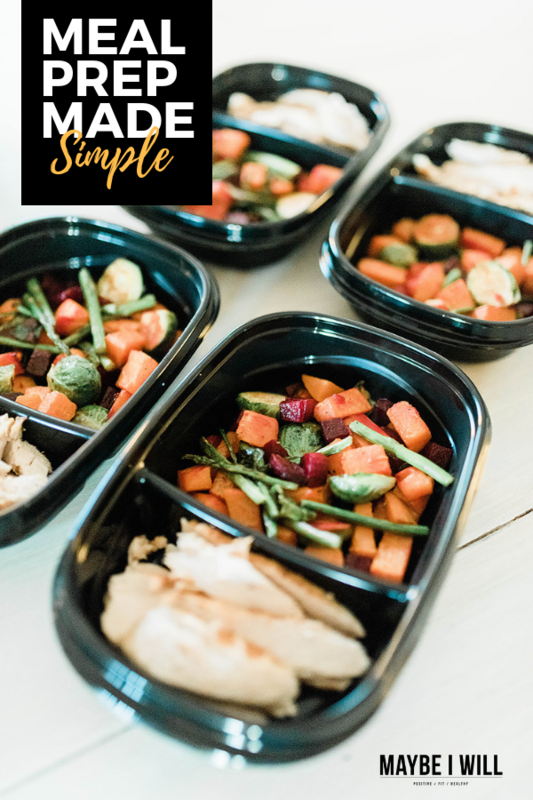 I am going to help make meal prepping super simple and EASY! Because meal prep should make your life easier, not harder. 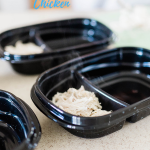 So if you are completely new to the meal prep scene let’s start with the basics! Meal prep is taking the time to prepare meals and have them ready to go ahead of time. By preparing meals ahead and taking the time to properly portion servings out you are saving time throughout the week. This not only means less time cooking throughout the week but it also ensures you make healthier food choices. It takes less effort to grab your container of yummy prepped-ahead goodness than it takes to wait in the line at the drive-thru. All wins in my book. 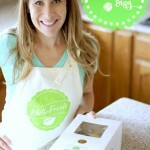 Meal prep has become a lifesaver for this busy mom of three. When I take the time to meal prep, and it does take time, it’s always so worth it. I eat better and have more energy because I’m eating healthier food. So it may seem like work (and it is a bit) but the hour or so that you may spend will save you tons of time and headache throughout the week. 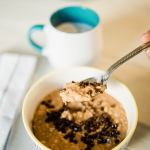 I’m going to share with you my ninja hacks that make meal prep a cinch and a lot less tedious! When it comes to meal prep I keep it simple. I don’t opt for fancy recipes or things that involve a lot of work. But simplicity can be a lot of fun and delicious too! 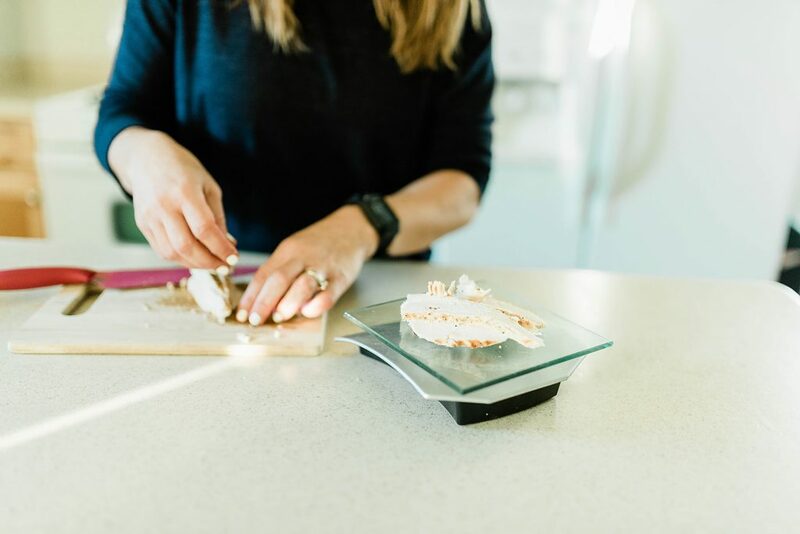 Step #1: Choose a Protein Source – Serving size 4oz – I like to use a scale to measure my meat out. Step #2: Roast a Big Pan of Veggies – this is my favorite thing in the world. In fact, my husband said if I made it every night he’d be cool with it. And the best part is that its crazy simple. 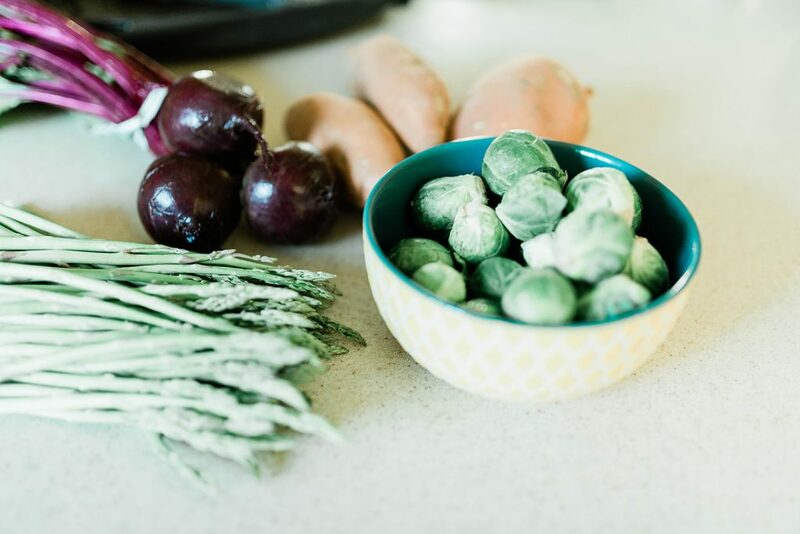 I just chop up a ton of our favorite veggies, grabbing whatever I have hanging out in the fridge. 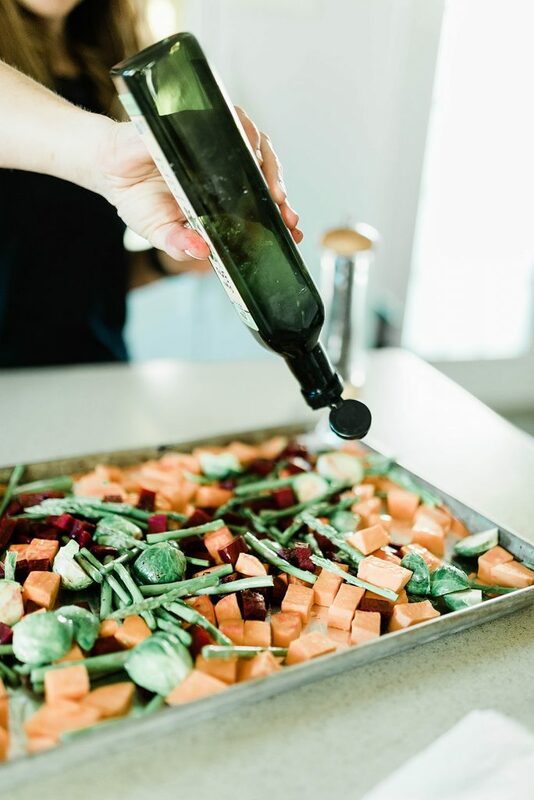 Drizzle chopped veggies with extra virgin olive oil, kosher salt, and freshly ground pepper. Toss veggies so all are coated nicely and roast for 25 minutes at 425 degrees. I like to kick my oven up to broil for an additional 3 minutes just to give the veggies a crispy, caramelized finish. At our house meal prep is really that easy. We grill or roast some chicken or other protein and we roast a TON of delicious veggies! Then we simply portion it out for the week. 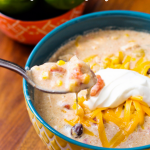 There are so many ways to play with flavor and mix it up so you will NOT get bored! Try different marinades for your chicken. There are lots of easy recipes out there but don’t underestimate the awesomeness of just lemon, olive oil, and salt and pepper. Simplicity can be perfection. Add a little sprinkle of parmesan cheese to your veggies, or a splash of balsamic vinegar. Both are so yummy on veggies. Add brown rice or quinoa! Try adding sauces. Just be careful here since sauce is a great flavor enhancer but can add a lot of unwanted calories. Add eggs to your veggies for a yummy scramble. 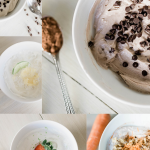 Don’t overthink meal prep – keep it simple! 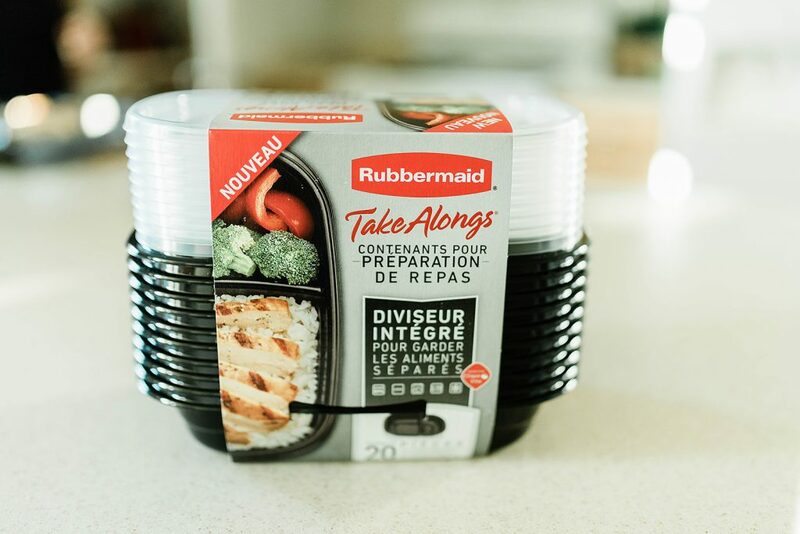 These new Rubbermaid TakeAlongs® are perfect for meal prep. I love the two separate containers that allow your food NOT to touch. I am firmly in the camp that food should not touch. It’s just one of my quirks! I have found that it’s hard to find meal prep containers that actually have two compartments. So yay, finding these was a big win for me!! Rubbermaid TakeAlongs® are available online and in stores at Walmart. If you’re having a tricky time finding them at your local Walmart, here’s another helpful life hack! Walmart has local pickup! I ordered mine online and ran in the store the next day to pick them up! Good Luck with your meal prep! Just keep it simple and as I always like to say, DONE is better than perfect! Give yourself a break and just go for it! Your efforts do not need to be perfect, just try! And before you know it you’ll be a meal prep pro! These are some of the best meal prep tips I have read! And love those containers! 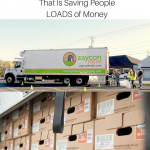 Great idea and tips! Meal prep helps save SO much time during the week! What a fabulous idea! Love these! Can’t wait to try them! Meal prep always overwhelms me so thank you for simplifying it! 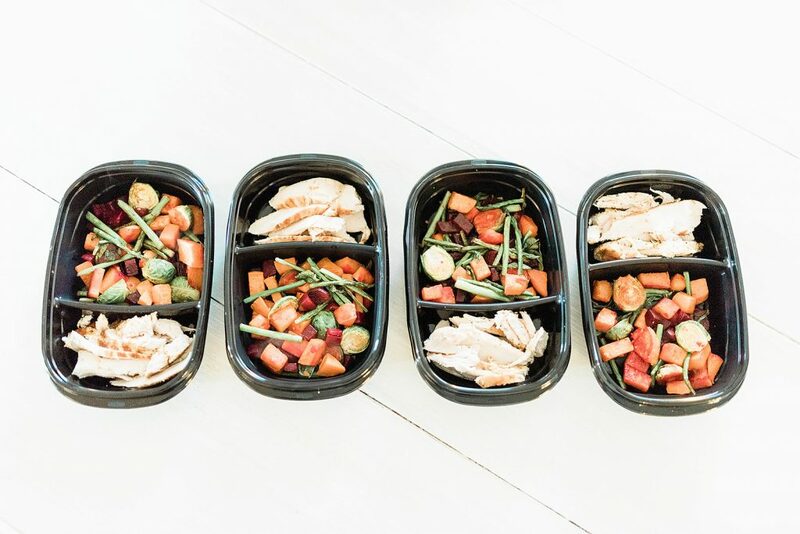 These containers are PERFECT for meal prep. LOVE it.